For over a century, opening the black box of embryonic development was the holy grail of biology. Evo Devo-Evolutionary Developmental Biology-is the new science that has finally cracked open the box. Within the pages of his rich and riveting book, Sean B. Carroll explains how we are discovering that complex life is ironically much simpler than anyone ever expected. Sean B. Carroll is professor of genetics at the University of Wisconsin-Madison and investigator at the Howard Hughes Medical Institute. 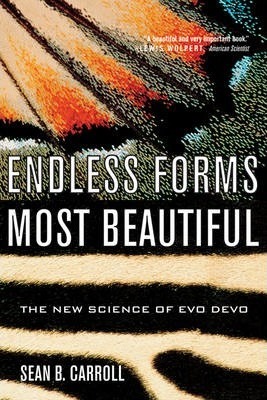 His first book, Endless Forms Most Beautiful, was a finalist for the 2005 Los Angeles Times Book Prize. Carroll's seminal scientific work has been featured in Time and The New Yorker. He lives in Madison, Wisconsin.